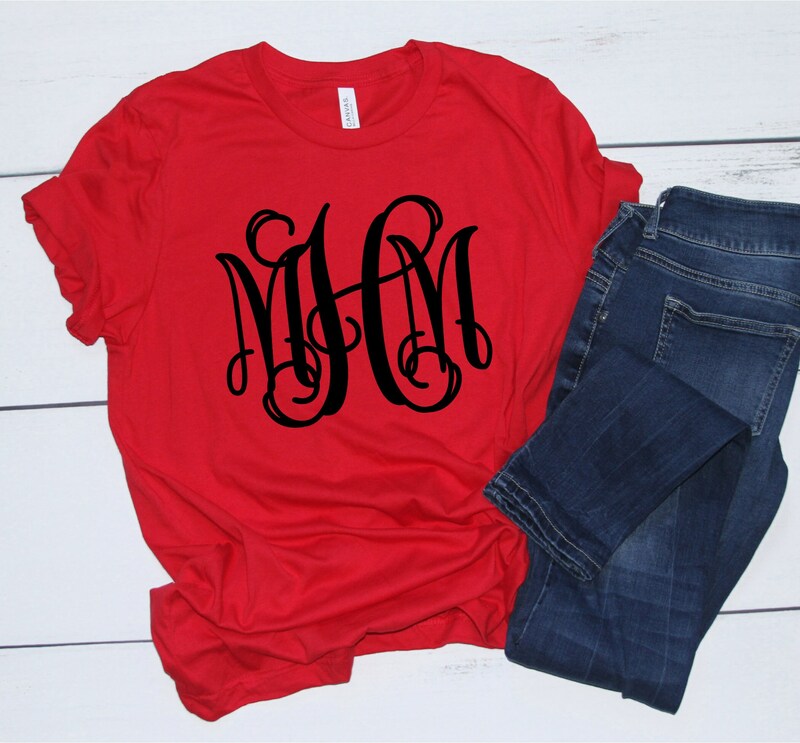 Our monogrammed t shirts are the best way to personalize your T-shirt collection! 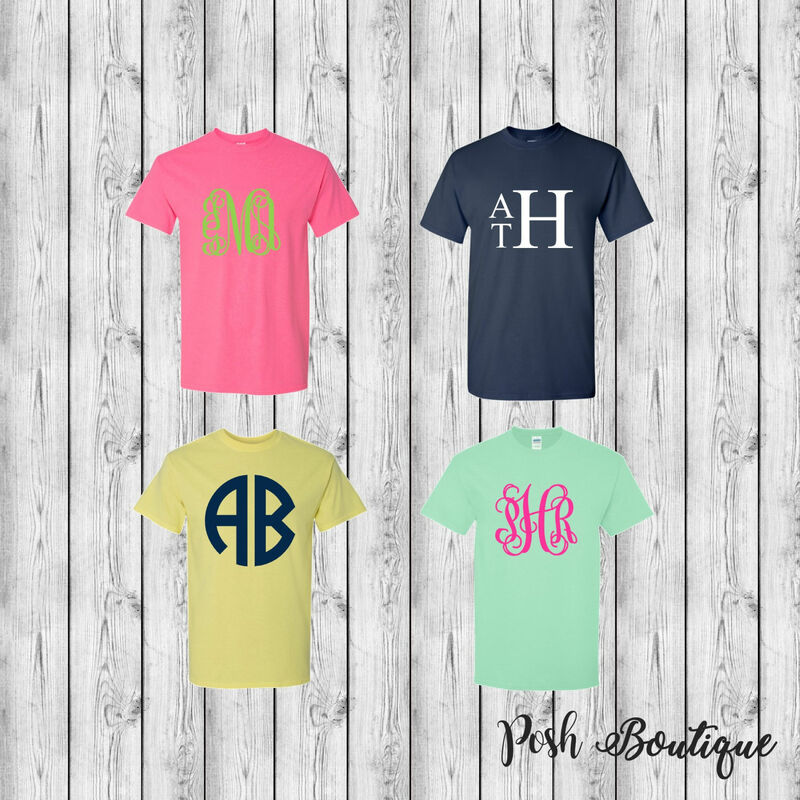 With a huge selection of tee shirt colors, monogram fonts and finishes - we have the perfect shirt for everyone. 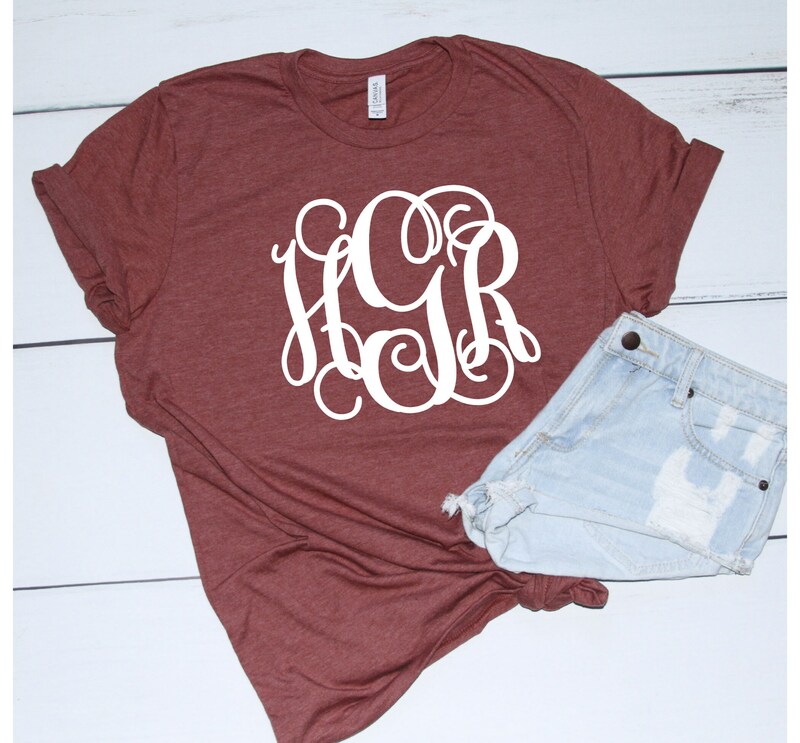 We offer both youth and adult sizes in our unisex fit tee shirts, making these perfect for matching mom and daughter tees! 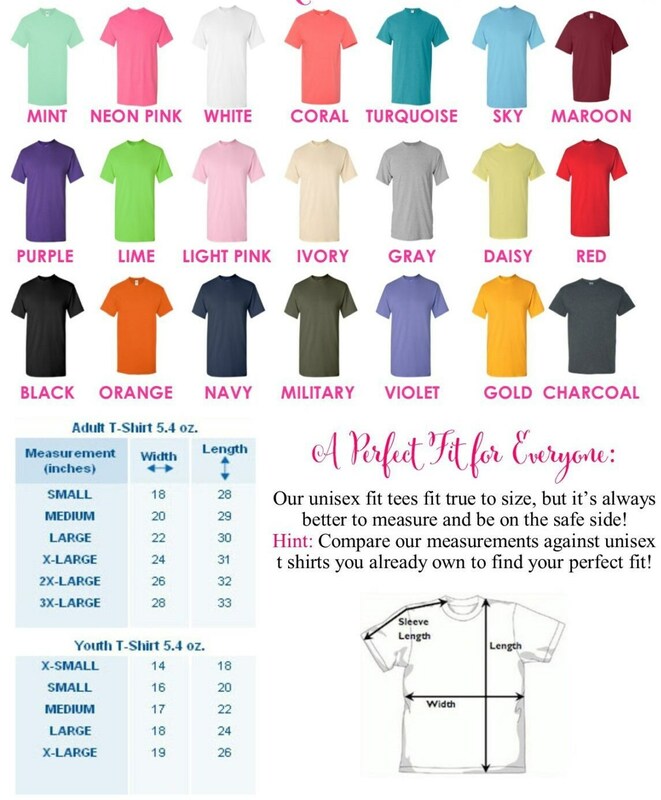 First, see all five listing photos for T-Shirt color options, Size chart, Monogram fonts, and Lettering color options. 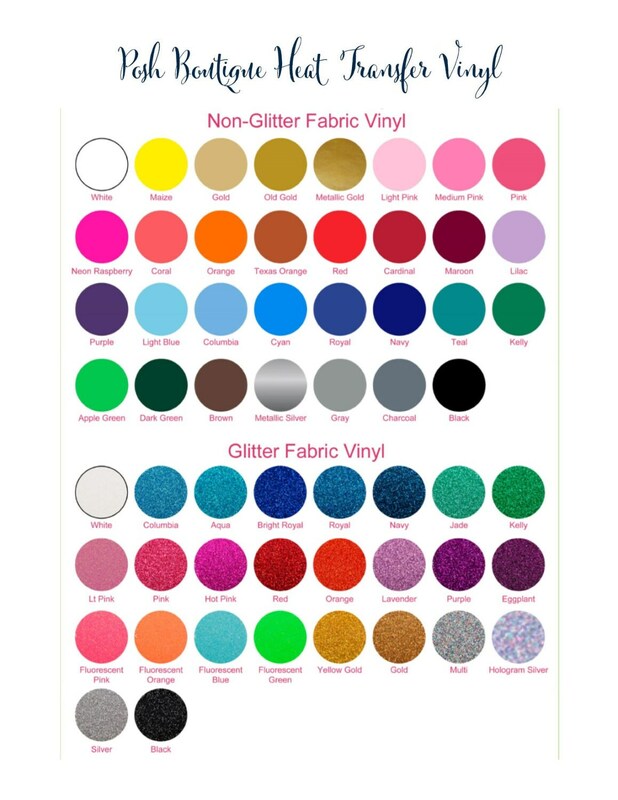 We offer matte, metallic, and glitter heat transfer vinyl options - so please be sure to specify which you'd like when writing your note to seller at checkout. 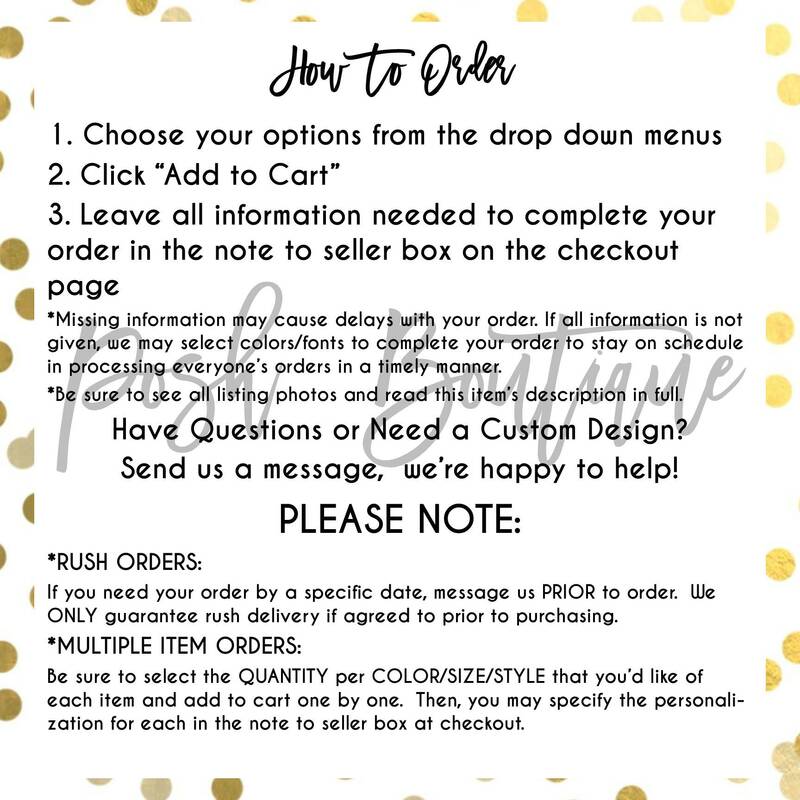 •Choose your shirt size, color, and quantity from the drop down menus. 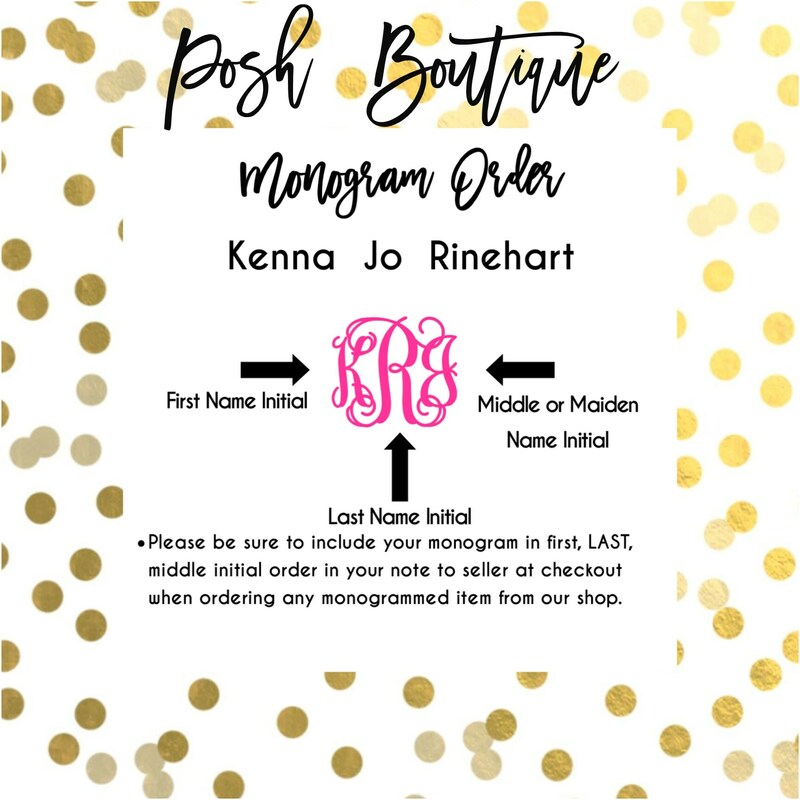 Due to the personalization involved in creating this item, no returns or exchanges are accepted. Please allow 2-3 weeks to ship. Thanks, and if you have any questions about this listing, feel free to send us a message, and we're happy to help! Beautiful color! Good quality shirts! 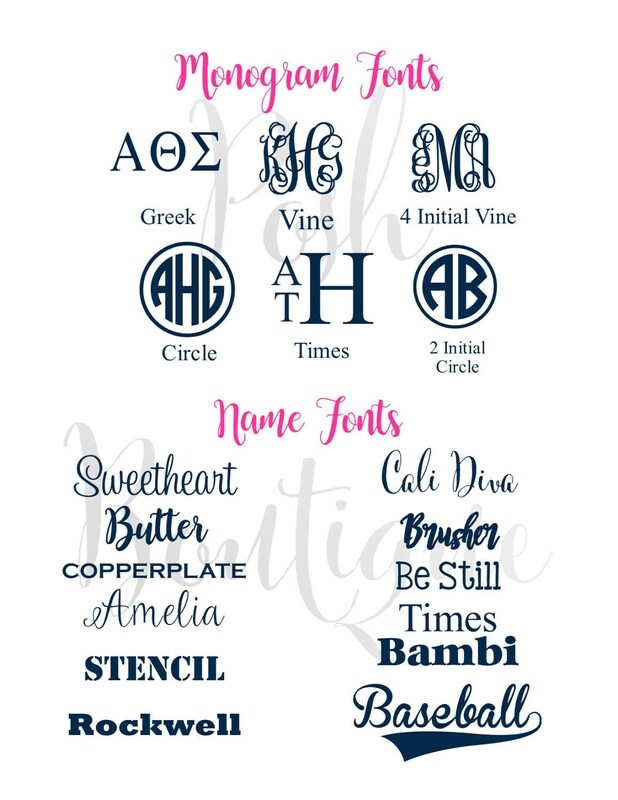 Nice and big monogram! Thank you! 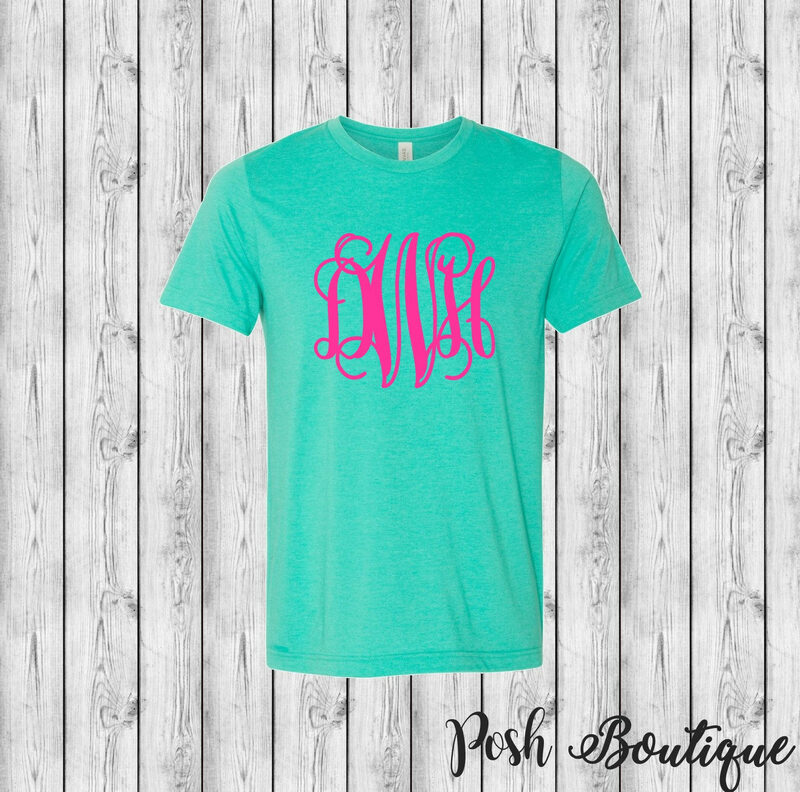 My daughter loves her new monogrammed tee!